Shenandoah National Park is located along the Blue Ridge Mountains of Virginia, and the Virginia Piedmont hills to the east. The park is visited by 1.2 million Americans annually and was established in December 1935 as a federally protected region. 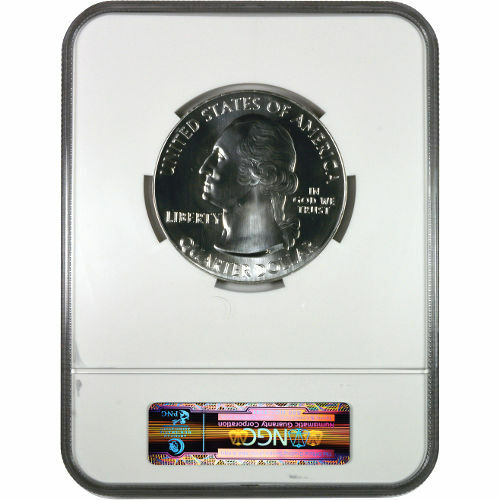 Right now, the 2014 5 oz Silver ATB Shenandoah Coin from the US Mint is available with a near-perfect grade from the NGC. The second release in 2014 and the 22nd overall in the ATB Series. Earned a grade of Mint State 69 from the Numismatic Guaranty Corporation. Honors Virginia in the ATB Series. The America the Beautiful coin series from the US Mint debuted in 2010 with five coin designs representing various national parks and national forests. The series will eventually consist of 56 coins in total, representing the 50 states in the United States, the five overseas territories of the country, the District of Columbia. Each coin available right now on Silver.com is a near-perfect specimen in the eyes of the NGC. Coins with a Mint State 69 grade feature full, original mint luster and a maximum of two minor detracting flaws. Those flaws are limited to minuscule contact marks in most cases and are found only outside the primary focal areas of the coin’s surface. On the reverse side of the coin you’ll find the image of the Shenandoah Valley in Virginia, and includes engravings that identify the state of issue, the park featured in the coin’s design, and the year of issue. The obverse features the familiar left-profile portrait of President George Washington. Used on the American circulation quarter since 1932, this portrait was created by John Flanagan for the US Mint. 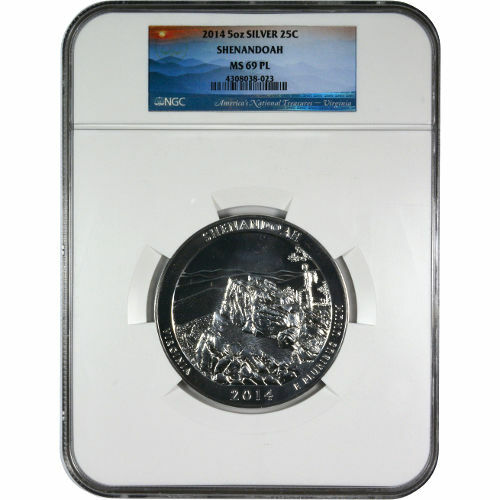 If you have any questions about these 2014 ATB Shenandoah Silver Coins, please feel free to reach out to us. A Silver.com representative is available on the phone at 888-989-7223, on the web using our live chat feature, or via our email address. If you are interested in similar products, check out our full selection of Certified America the Beautiful Coins.